If you talk to some fans of both the Nightmare On Elm Street and Friday The 13th series, they might tell you that the real battle between these slasher icons was at the box office and not on screen. Although Freddy vs Jason was a big hit for New Line Cinema back in 2003, many still have a sour taste in their mouths from the experience and only the battle scene at the very end of the film saved what many believe to be a disappointing offering to the fans after so many years of hype. That hype started in the 80’s when Freddy and Jason battled against each other just about every year, trying to better each other for box office supremacy. While Paramount was prepping their big series finale, a small start up company named New Line Cinema was hoping their little movie offering would gross some money and help build the company. A Nightmare On Elm Street was a gamble for New Line Cinema. No other major studios would pick up Wes Craven’s movie, but Bob Shaye saw the potential of the film and put the backing behind Fred Krueger hoping that his faith would pay off. Paramount’s The Final Chapter opened on April 13, 1984 with an opening weekend take of roughly $11 million and would end the theatrical run with about $33 million. 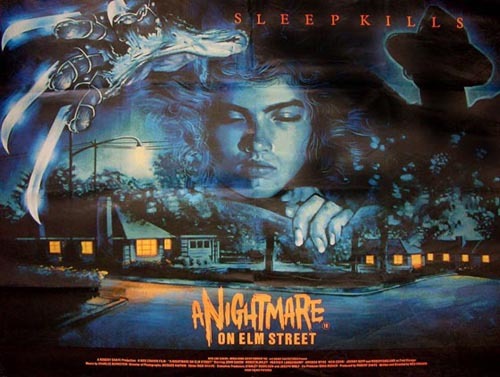 A Nightmare On Elm Street opened theatrically on November 9, 1984 and it’s initial weekend gross was not too encouraging, bringing in a very modest amount just over $1 million. However, strong word of mouth powered the film in the forthcoming months and Nightmare finished its very strong run at $25.5 million. At the close of 1984, a new slasher icon was born and another seemed to be finished. 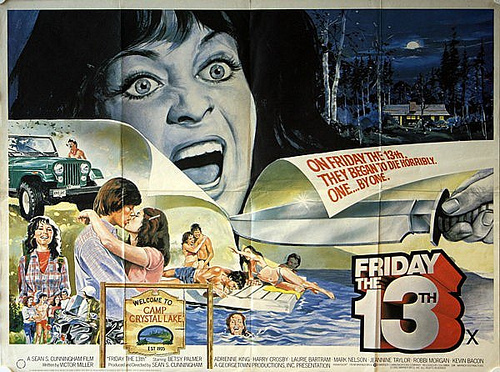 That was until Paramount saw that more money could still be made from their Friday the 13th franchise. Check back on our website soon as we will continue to look at the true beginning of the box office standoff. The year 1985 would offer a strange occurrence in both franchises, Freddy trying to kill in the real world by possessing a “confused” teen and an impostor Jason running amok at a halfway house.